Home-enthusiasts looking for quality homes in Bangalore might be interested in the upcoming property in Richmond Town Bangalore. This is one of the most important residential zones in the city. The homeowners can go for 2, 3 and 4 BHK apartments in the residential complexes. These homes have been sophisticatedly designed, ensuring a good mix of comfort and class. The residential apartments in Richmond Town Bangalore are known for their location advantages. The homes come at various prices, and these have been developed both for the high-end buyers and the middle-income groups. If you are planning to get a home, this is the right time to make the investment. The residential complexes come with a wide range of amenities. These include swimming pools, gym, various indoor and outdoor games, and so on. The children can play in their dedicated play areas in the complex. 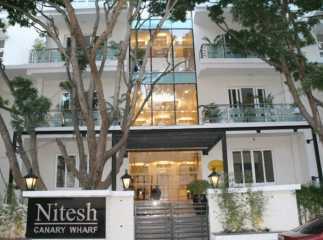 Have a look at the 3BHK Property in Richmond Town Bangalore. Get luxurious homes in Bangalore and live up to your housing dreams.